Small businesses face many challenges, including finding business loans on the right terms. Many online business loan aggregators have oriented themselves to serve the growing demand for small business loans for all purposes and of all sizes. However, not all of them are equal. 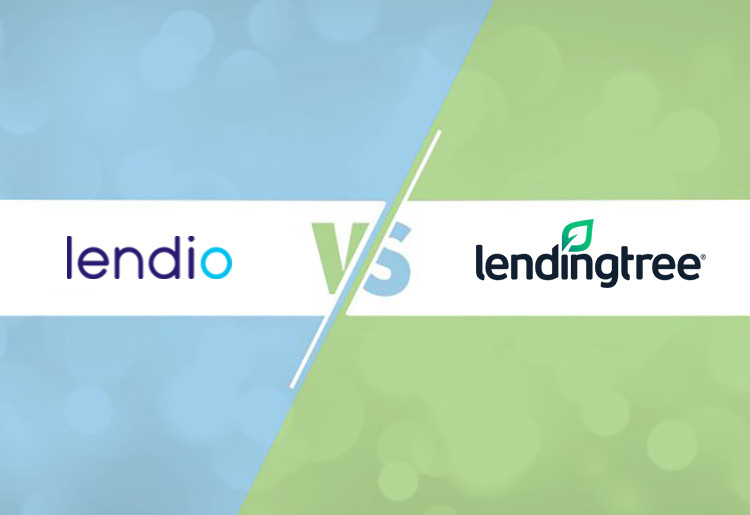 Lendio and LendingTree are two loan aggregators which enable small businesses to compare terms and find the best loan for their financing needs. We bring you an overview of their pros and cons as well as a head to head comparison of their respective loan terms, application process, eligibility requirements, fees, and customer service, so you have all the information you need for an informed small business loan decision. Lendio is a business loan aggregator that brings direct lenders together with small businesses. Their portal serves up ten separate small business loan programs, including commercial real estate loans, ACH cash flow loans, and merchant cash advance (MCA). With loan amounts of up to $2 million depending on the loan type, fluid lending terms, and a large range of loan options, Lendio is a useful address for small businesses in need of supportive financing. In business since 1996, LendingTree is an online small business loan marketplace that connects small businesses with direct lenders. LendingTree presents several different types of loans, including SBA loans, business lines of credit, and working capital loans. Their range of loan types along with flexible terms and the ability to borrow the exact amount that you need, makes them an attractive option for small businesses that need flexible financing. Both Lendio and LendingTree offer a fast, simple, and streamlined online application process. We'll look at this area more closely since this is your main barrier to getting that loan. Lendio’s application form is smooth and straightforward. The initial application asks your reason for seeking a loan and the amount you want to borrow. You’ll be immediately matched to the correct type of lender to complete another short form that assesses your needs in more detail. Lendio also sends a ‘soft’ credit pull to lenders. Once you’ve been matched to a lender, the lender will perform a hard credit pull and ask for more documents before finalizing their loan offer. Lendio saves time and energy by sharing your information with multiple direct lenders at once. Their platform includes over 3,000 lenders, including those who specialize in particular types of loan such as factoring loans and business credit cards and others which invest in startups or businesses led by women. Lendio is confident that it will always be able to help small businesses find the right loan for their needs. Lendio goes the extra mile by assigning a personal account manager to every applicant, giving much-needed assistance to small businesses who might be confused by the finer details of their application. Their loan approval process takes between two days and two weeks, based on the loan you’ve applied for and how long it takes them to confirm your business details. Like Lendio, LendingTree’s application process begins with a few clicks. You can expect to share information about your company’s financial stability, turnover, and history as well as the amount you want to borrow and your reasons for this loan request. LendingTree’s application form only takes five minutes to complete before they share it with dozens of lenders, along with a soft credit pull, to save you time entering the same information again and again. Within 24-48 hours you’ll begin receiving information about up to four lenders which match your needs so that you can quickly finalize a loan agreement and receive the capital you’re hoping for. Once you choose the lender that you prefer, you’ll confirm the loan with them directly. Their simple guided application form edges just ahead of Lendio’s two-step process. As online small business loan marketplaces, neither Lendio nor LendingTree directly offer loan terms. In both cases, these vary according to the lender, the size of the loan, the length of the repayment term, and your business’ credit standing. However, we can compare the range of loan terms offered by each aggregator. Loan terms accessible through Lendio include some of the best available. APR rates on business credit cards are as low as 0%, while the repayment term ranges from one month for line of credit, credit cards, and factoring (AR/PO) loans up to 25 years for commercial real estate loans. In contrast, LendingTree’s lowest APR begins at 5%, with repayment terms stretching from one month to ten years. While both aggregators offer useful short-term loans to cover temporary extra expenses, the longer repayment periods and higher borrowing amount available through Lendio beats LendingTree's options for businesses which need larger amounts and/or longer periods of time. With loan amounts beginning at just $100 as opposed to the $2,000 minimum amount provided through LendingTree, Lendio has the most flexibility out of any small business loan marketplace. Lendio and LendingTree both try hard to help small businesses get the funding they need. Lendio presents some loan options for small businesses that still have under six months in business as well as no minimum credit score requirements. Lendio warns their users that direct lenders might ask for more documentation such as a signed loan application, six months of business account bank statements, and a mortgage or landlord verification. LendingTree also has flexible eligibility requirements, but not as much as Lendio. While they offer loans for businesses with less than perfect credit, they don’t have the same ‘no minimum credit score’ offer as Lendio. There is also no option for businesses with only a few months in business. Both Lendio and LendingTree are business loan marketplaces and don’t charge any direct fees, although both warn that the loan providers charge their own fees. Lendio and LendingTree do both receive an origination fee after you close on the loan with a provider, but that fee varies depending on the lender. All fees that relate to prepayments, overpayments, and late payments are agreed with the lender and not the loan aggregator. Neither Lendio nor LendingTree charge these directly. LendingTree advises customers that no lenders charge a fee to insure or guarantee the loan, although some do ask for an interest rate lock fee, application fee, or appraisal fee. Taking out a small business loan is potentially confusing, so you want good customer support for when you have questions or need advice. Lendio’s dedicated personal account manager guides small businesses through the loan process. They are easily contactable by phone or through social media and email. Lendio’s FAQ page is clear and easy to search through, but there is no live chat option. LendingTree also has good phone support with friendly and knowledgeable customer service representatives, as well as fairly swift responses by email. However, they don’t have any other avenues for customer support. LendingTree’s FAQ section is quite comprehensive but hard to find, with no direct links from their homepage. Lendio’s excellent range of ten different business loan options and willingness to cater to businesses which began within a few months makes them stand out. Added to this, Lendio has an A+ rating with the BBB and has been featured in Entrepreneur, Forbes, and CNBC. Lendio also permits businesses to take out multiple loans at the same time for different purposes, which is unusual among loan marketplaces. However, LendingTree shouldn't be ignored. Their simple and clear application process and extensive educational area make them a valuable resource for small businesses looking to educate themselves about loans. They remain a serious option for small businesses that need flexible loan terms.